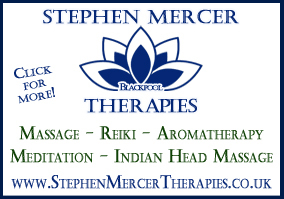 Join The Victorian Ghost Hunter (Haunted Blackpool author and founder of Supernatural Events Stephen Mercer) on a Blackpool Ghost Walk as he guides you to some of Blackpool’s most famous, and most haunted, locations to hear of his (dearly departed) friends; the spectres, the phantoms, the ghosts! The tours begin at the Tourist Information Centre, Festival House, The Promenade FY1 1AP (next to The Beach House between North Pier and The Tower). The 2019 spooky strolls feature NEW tales of terror and NEW stories of the supernatural (along with a few old favourites of course!) and at the end of the walk you are invited to the "Victorian Séance" experience in an upper room of one of the most haunted pubs in Blackpool...!!! Adults £6, Children (under 16) £3.50, Family of 4 (must include minimum of one child) £17. Online bookings use PayPal; please note you do not have to register with PayPal to make payment. Once you "add to cart" you can alter ticket quantities and type etc on the following page. Upon purchasing online, please email bookings@supernaturalevents.co.uk with your name, PayPal reference and the date of the ghost walk you wish to attend. 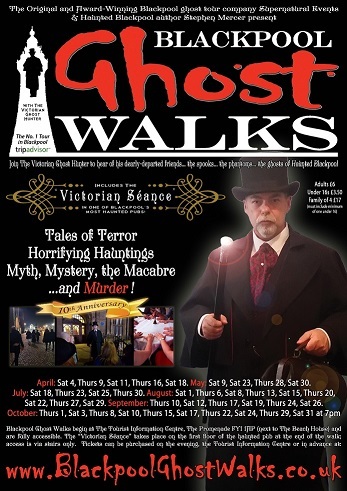 Tickets can also be purchased on the evening of a ghost walk from your Ghost Host or at the Tourist Information Centre (Festival House) on The Promenade. Please note although the outside walking tour is fully accessible to all, the additional "Victorian Séance" is via a flight of stairs in this old building. Supernatural Events is proud to have been awarded the TripAdvisor Certificate of Excellence award. Read our reviews and see why we're the No. 1 Tour in Blackpool. 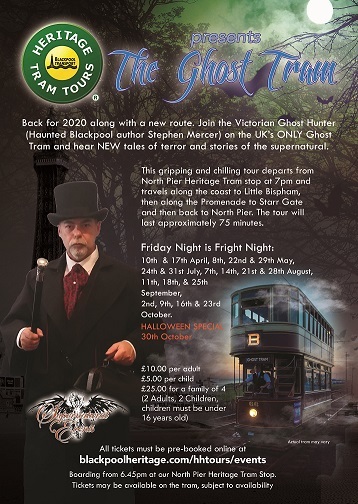 Visit our Diary page for details of other Supernatural Events, including Ghost Hunts, Ghost Tours and The Ghost Tram!